While everyone was on some sort of juicing diet to help ‘detoxify’ their bodies in January, I was still here sipping on smoothies. The good thing about juicing is that by removing the fibre, the nutrients are more readily available and more easily absorbed; however, fibre is such an essential and underrated part of our diet that many of us don’t even get enough of. That’s why you’re more likely to see me holding a smoothie rather than a glass of juice. Food trends and diets come and go, but as far as I’m concerned smoothies will never fall out of fashion. They’re such an easy way to get loads of fruits, veggies, anti-inflammatory agents and antioxidants into the diet. The fibre in smoothies make them filling, great for your gut flora and digestive health and by using the right combination of ingredients you will end up with something that tastes more like a dessert than anything else. 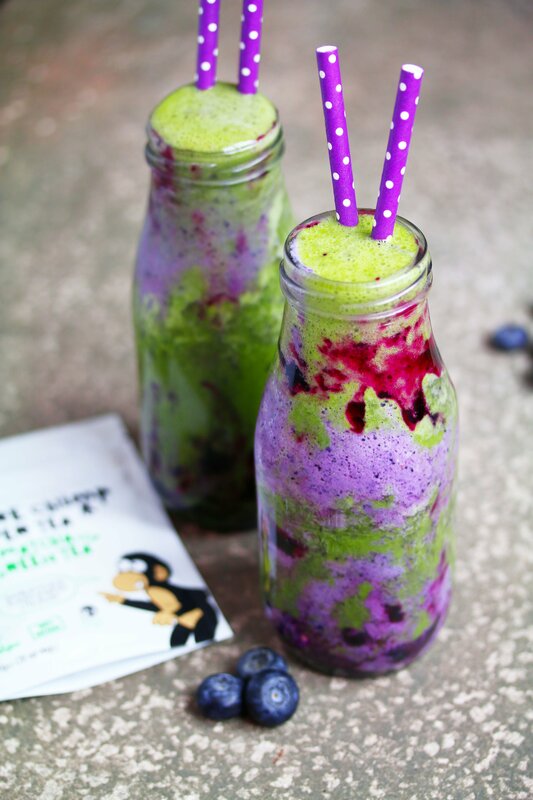 This matcha blueberry smoothie is packed with antioxidants, pretty and so delicious! Using PureChimp matcha which you can now get in small 20g pouches from their website. Add the blueberries and milk to a blender and blend until smooth. Transfer into a glass and set to one side while you make the matcha layer. Add the banana, spinach, matcha and sweetener (if using any) along with 250ml milk. Blend until smooth. 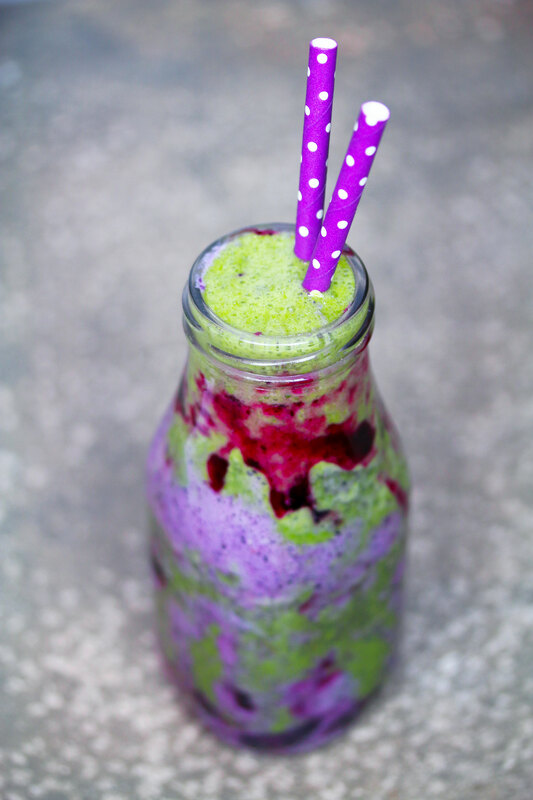 In a bottle/glass/jar, layer the blueberry mixture, matcha mixture and blueberry jam to create a swirl effect. * This post was commissioned by PureChimp; however all opinions are my own. You can just declare yourself the Matcha Queen, my friend!